Our Johnson German tomato seedlings were way past ready to transplant. It's still a little hot, though, so it's probably a good thing we're late. We put the tomato bed on the south side of the house in preparation of the cooler temps a potential frosts ahead. Right now, it's still hot, so we'll have to add a shade cloth till this (expletive) heat lets up. All members of the Brassica (cabbage) family. Also know as cruciferous vegetables, avoid planting tomatoes near cabbages, broccoli, cauliflower, Brussel sprouts, collard greens, kale, turnip greens, etc. Potatoes - attract the same pests as tomatoes. Tomatoes also have an adverse affect on corn and apricot trees and therefore should not be planted near them. Notice how some of these above vegetables are good together in a salad? 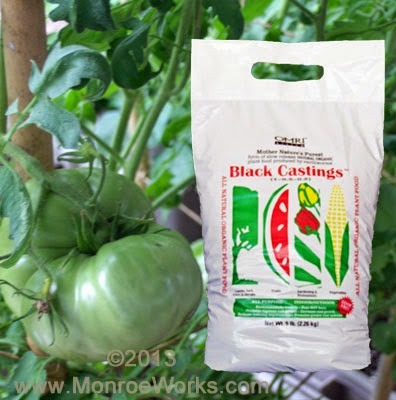 When setting up tomato planting locations, consider the plants that are benefited by tomatoes. For instance, tomatoes have a fungicide effect against Black Spot on roses. If planting tomatoes near roses isn't an option, spraying with a solution made from tomato leaves for roses is an effective option. Tomatoes contain a volatile alkaloid, solamine, that in days gone by was used as an agricultural insecticide. Cool, huh?